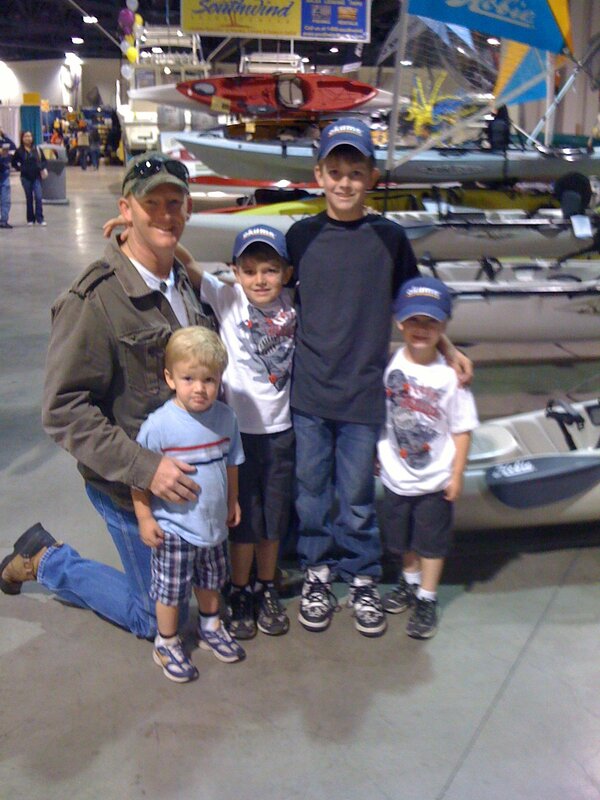 Thanks to @AlQuackenbush we had the joy of taking our boys to the Fred Hall Fishing Tackle, Boat and Travel Show this past weekend in Long Beach, Ca. A big thank you to Al for his generosity and the sponsors who donated the tickets. A real treat for our family and something we don’t often get the privilege of enjoying. As Stephanie and I walked the floor of the convention center with the boys my mind wandered back to all my years growing up without a father in my life. My father left in 1983 and divorced my mom in 1985 after some 30 years of marriage. As I mentioned in an earlier post I’ve only seen him 4 or 5 times in the past 27 years and none in the last 10 or 11 years. My mother raised us kids as a single parent, and did a FINE job I might add. So, for all the single mothers out there reading this post. You are my hero’s. During the most crucial years in a young boys life and into manhood, a father figure was missing in my life. 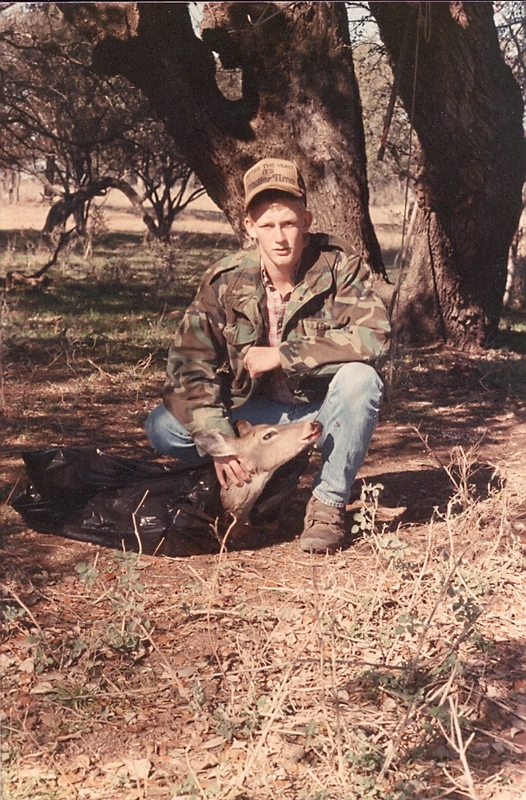 Most of the hunting and fishing I did in my teenage and young adult years happen to be with my brother, cousins, guys from the golf course where my mother worked, guys from church, clients, and friends. 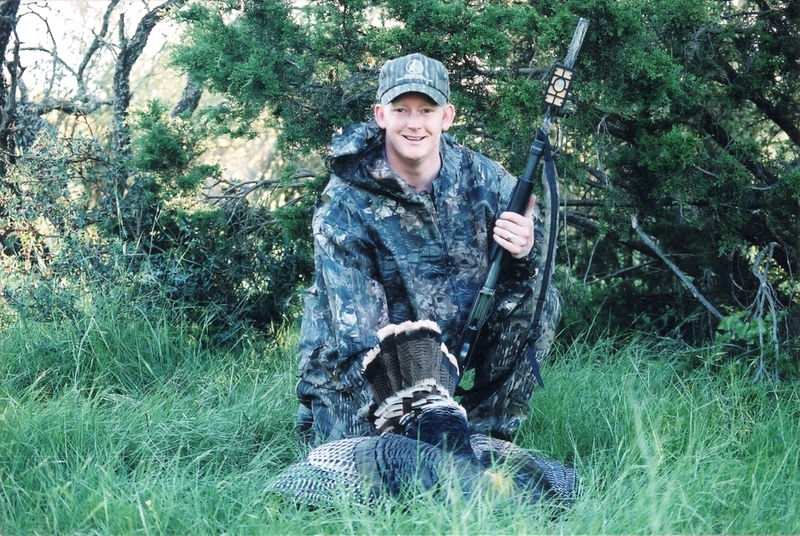 All the hunting and fishing trips that a young boy hopes for as a teenage, young man, and young father, hoping to share his children with his dad on hunting expeditions, never occurred. I found myself looking to be the warrior man that God had created me to be; however, I lacked the one thing I needed most… a father / dad to walk with me, talk with me, show me how to live as a man. I looked for that role model in a lot of guys… and over time pieced together the best part of a lot of different men who have helped me become the man I am today. Some of those men I’ve never met, but watched them from a distance as Outdoor Hunting / Fishing TV Show Hosts. Some good… some, not so good. It is for that reason God has called me to Raise Modern Day Warriors. No boy should be without his father / dad in the most crucial time of developing the man God uses. I don’t want to look back one day and miss the best that life has to offer in doing life with my wife and boys. There is NOTHING so important that it should take time away from being with Stephanie and the boys in the outdoors… NOTHING. My heart has been mended over the past 27 years. I am very healthy in my relationship to God, my wife, and my boys. My prayer is that I’ll one day take the hunting and fishing trips with my boys I never had with my father. And there will be hunts for me to take my sons and my grandsons on together… multiple generations walking side by side into the great outdoors. My heart is for those of you in the Outdoor Industry. I pray for health and balance in your life. You see… you are my little boys hero’s. My boys look up to you. They think you guys have hung the moon. They watch your Shows, your Videos, your You Tube clips, your Blogs, your Twitter feed, and your Facebook… they know your names, your sponsors, what bow you shoot, clothes you wear, and gun you carry. The reason for Chaplain to the Outdoorsmen is that I want to invest in you… because whether or not you saw this coming, you are helping me Raise Modern Day Warriors. I want to leave a different legacy for my boys than the one left for me. And I need your help. The following scripture is one I read often. I hope you’ll find it helpful… You are helping me train my boys even if you didn’t know it. Thousands of little boys and girls, just like my sons, Caleb, Josiah, Levi, and Silas are watching you. As you are recording your show this week or your video for release, please consider the thousands if not tens of thousands of next generation hunters and fishermen who are following your lead. 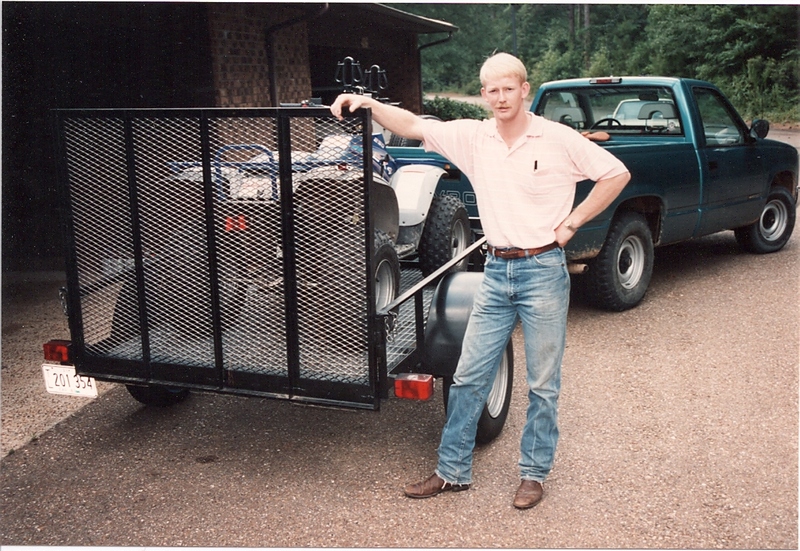 Throughout this post are several pictures of me from the past 27 years. As you look into my eyes you’ll notice a sad 13 year old boy, a some what arrogant 21 year old young man, a 29 year old new husband, and now a 40 year old dad wanting to leave a legacy of Modern Day Warriors. Look into my eyes and see what unfolds for you. For me the journey at “The Table” began on October 6, 1996. I remember it well. 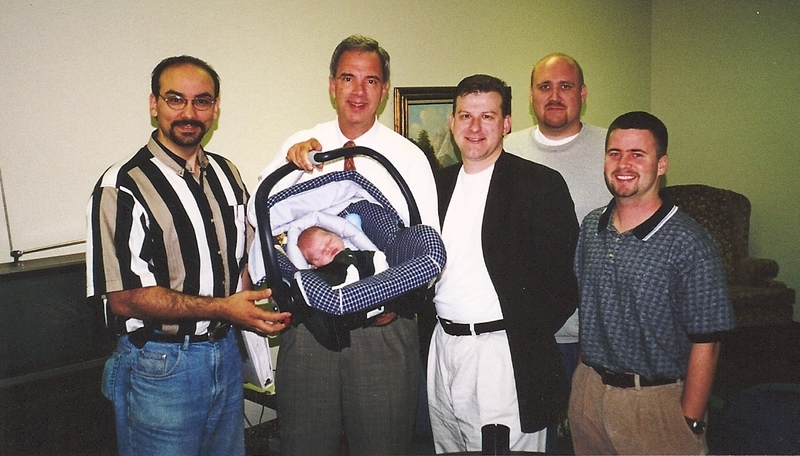 I was a student at Southwestern Baptist Theological Seminary in Fort Worth, Texas when my professor Dr. Daryl Eldridge (now with Rockbridge Seminary – a fully online seminary) asked me to join he and several other guys for a table discussion. That table discussion turned into a small group experience that lasted for 7 straight years, every Tuesday morning at 7 a.m. Over that 7 year period of time, I bet you we didn’t miss a 1/2 dozen Tuesday mornings. 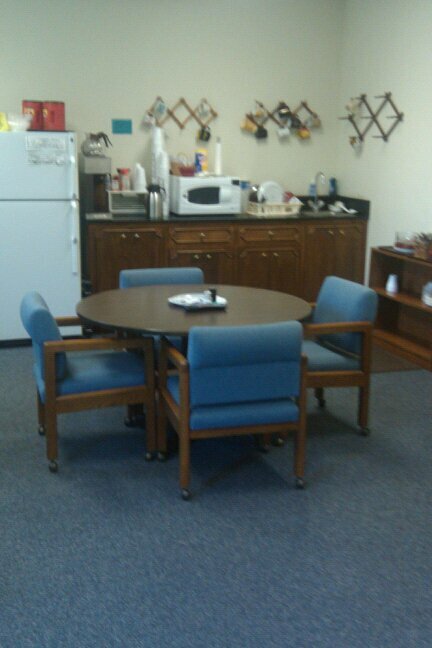 We were together at this table when the guys dedicated my oldest son, Caleb to the Lord, eight days after he was born. We were also at this table praying together the morning the World Trade Center was attacked by terrorist. Even after the seven year stretch we have continued to stay connected as a group even though we live in 5 different states. We’ve even come back together on several occasions for a 3 day retreat. It is in part to that “Band of Brothers” that I pastor and coach today. The tools I pass on to you as your Chaplain and Coach I learned from those guys and the investment they have made in me these past 15 years of ministry. The reason I ask whose table your feet are under is because if you aren’t sitting at the table, you will go hungry. Does that makes sense? Life can and will throw some pretty hard things at you, and if you don’t have someone walking with you, it can be pretty stink’n lonely. It’s like going hunting with out your hunt’n buddy. 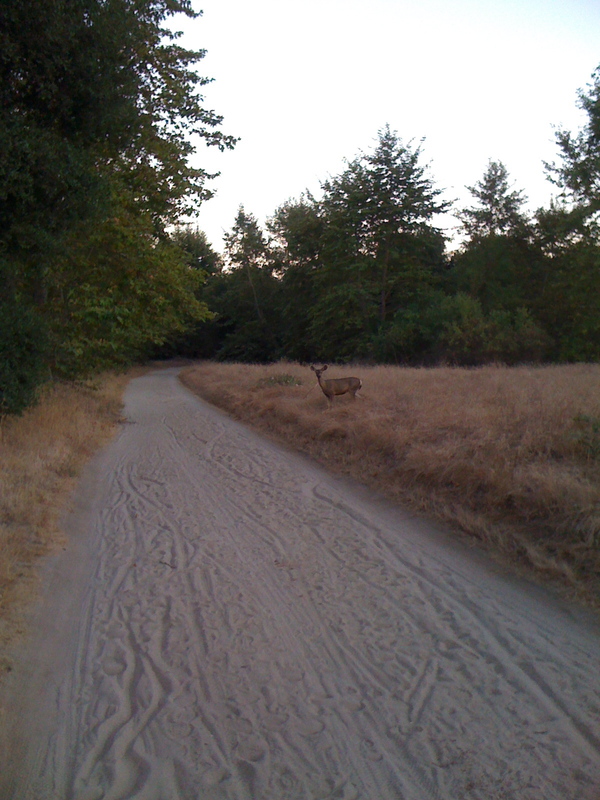 I hate hunting alone… That’s why I try to take at least one of my boys with me every time I hit the woods. At one point in my life I was that lonely guy. Before Daryl asked me to join that group I really didn’t have anyone speaking into my life. I wasn’t being fed. And if I’m not fed, how can I be feeding others? It becomes a shared reality. If no one is speaking into your life it’s going to be hard to lead your family well, your company, your TV Show, produce good quality outdoor videos, products, etc… You might be able to fake it for a short time, but it will always come back to bite you. I feel like I need to make a clarifying statement here. I’m not talking about a company you pay for a monthly coaching experience with CEO’s, who use charts, graphs, assessments, tools, strategies and plans. I’m talking about just a couple of guys/gals you can hang with and be real about life, family, work, and spiritual discussions. Someone you can sit at their table and they sit at yours as you share a meal together. Now before someone sends me hate mail… I’m not saying that Life Planning, Coaching Roundtables, or fee for service CEO Monthly Strategy sessions are wrong. 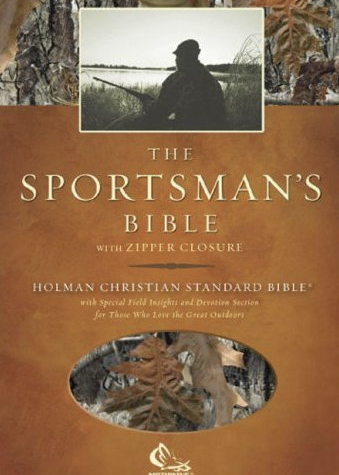 For goodness sakes, part of what I do with Chaplain to the Outdoorsmen is Life Coaching. What I am saying, is that you need some guys/gals around you to be authentic in your everyday life. Check out this passage from the Bible and see if anything resonates with you. 42 They were continually devoting themselves to the apostles’ teaching and to fellowship, to the breaking of bread and to prayer. 43 Everyone kept feeling a sense of awe; and many wonders and signs were taking place through the apostles.44 And all those who had believed were together and had all things in common;45 and they began selling their property and possessions and were sharing them with all, as anyone might have need.46 Day by day continuing with one mind in the temple, and breaking bread from house to house, they were taking their meals together with gladness and sincerity of heart,47 praising God and having favor with all the people. And the Lord was adding to their number day by day those who were being saved. A good action step might be to list 3 – 5 things from this passage that the guys following Jesus did together. Also, what do you see from this passage as 3 – 5 benefits of their doing life together. How might your life be different or is it different by doing life with others? I’ve just finished up 3 days at a conference here on the west coast called, “Catalyst” better know as #CATWEST in twitter world. It was a great time of hearing speakers from all over the world on Social Justice, Christianity, the Church, Leadership, etc… Every speaker brought a new awareness on so many levels; however, the phrase that caught my attention didn’t come until the end of the 3rd day and by the last presenter, Randall Wallace. If you are unfamiliar with Randall Wallace here is a list of just a few films he has Directed. In reference to a question about “We Were Soldiers” and how he came to create the passion from within the film. Wallace’s reply was my hope was, “what moved me, might move others”. That statement would have had no meaning to me 20 years ago, but today… It means everything. The reason I am a pastor, chaplain, teacher, writer, and coach is so that what moved me, might move others. I came to understand my relationship with Jesus when I was 9 years old. In fact, it was January 19, 1980 when I asked Jesus to take charge of my life. And then… in the those college & your adult years, my humanity took over and for years I wanted one thing, but did another. I searched for self-worth through prestige, popularity, positions, degrees in higher education, speaking engagements, honors, and awards. I often tell people, “I took Jesus places He never intended to go”. Now I know, none of you have struggled with this… right?… WRONG… We all struggle with it. We’re human. Therefore, one of the reasons for this blog. We want to walk alongside of Outdoor Industry Leaders who desire to have a spiritual influence in their life. In just the past several years I’ve begun to see how God, through my crazy childhood, my wounds, hurts, fears and years in ministry has created in me the man God has been chiseling away at for years. And now, I want to help you. 15 What I don’t understand about myself is that I decide one way, but then I act another, doing things I absolutely despise.16 So if I can’t be trusted to figure out what is best for myself and then do it, it becomes obvious that God’s command is necessary.17 But I need something more! For if I know the law but still can’t keep it, and if the power of sin within me keeps sabotaging my best intentions, I obviously need help!18 I realize that I don’t have what it takes. I can will it, but I can’t do it.19 I decide to do good, but I don’t really do it; I decide not to do bad, but then I do it anyway.20 My decisions, such as they are, don’t result in actions. Something has gone wrong deep within me and gets the better of me every time.21 It happens so regularly that it’s predictable. The moment I decide to do good, sin is there to trip me up.22 I truly delight in God’s commands,23 but it’s pretty obvious that not all of me joins in that delight. Parts of me covertly rebel, and just when I least expect it, they take charge.24 I’ve tried everything and nothing helps. I’m at the end of my rope. Is there no one who can do anything for me? Isn’t that the real question? How do you see God working in and around you? What specific area of your life do you know you are trying to control the outcome? And are you willing to allow someone to speak into that particular area? What in your life has so moved you, that it will move others?… Why? I happen to be listening to Rascal Flatts when their song, “Mayberry” came on the radio. Ok, there is something you need to know about me, I am a HUGE Country Fan and an even bigger Rascal Flatts fan. I’m a Texan, what can I say. Back to the devotional thought. The words to this sound are beyond rich. So rich, that I decided to post a couple of sections of the lyrics. For a full set of the lyrics click here. You can read though each of them and find a 1/2 dozen or more thoughts that all bring us back to a rediscovery of who God is and our relationship to Him. And there are another half-dozen or so thoughts we could share on where our world is headed and our longing for a more simple way of life. For our devotion today I thought we’d take a brief look at what it might mean to see “through God’s Window“. Have you ever thought how God see’s His creation, what He intended for it, what we’ve allowed it to become, what others say it should be, and/or what we are passing on to the next generation. Think about those words… they are SO rich…. can’t you feel this “old earth shouting” as war between good and evil rages on, or the gentleness “through the trees as the wind blows” and calms our fears, “up here on this mountain” where we feel like we can do anything we set our mind to, “through God’s window” we see that we are part of a much better plan, as you and I “got two feet that get me high”, “above the noise and city streets”, where “my worries disappear” and I am once again connected to my Creator. And think about these words…. Have you ever dreamt you were driving down an old dirt road, or passed a dad & son with fishing poles, only to wake up with tears in your eyes wishing you could fall back to sleep and back into that dream just to see where it went. You know what God sees when He looks through His window…. He sees you! …. He sees the man or woman who He created, who you are, and who you want to be. He sees your strengths and your weaknesses, He also feels this old earth shouting, the wind blowing, the noise & city streets, your worries, your dreams, your roads and their forks, your dad or the lack there of, and when you wake up He is their to hold you until you go back to sleep. Through God’s Window …. He sees YOU! 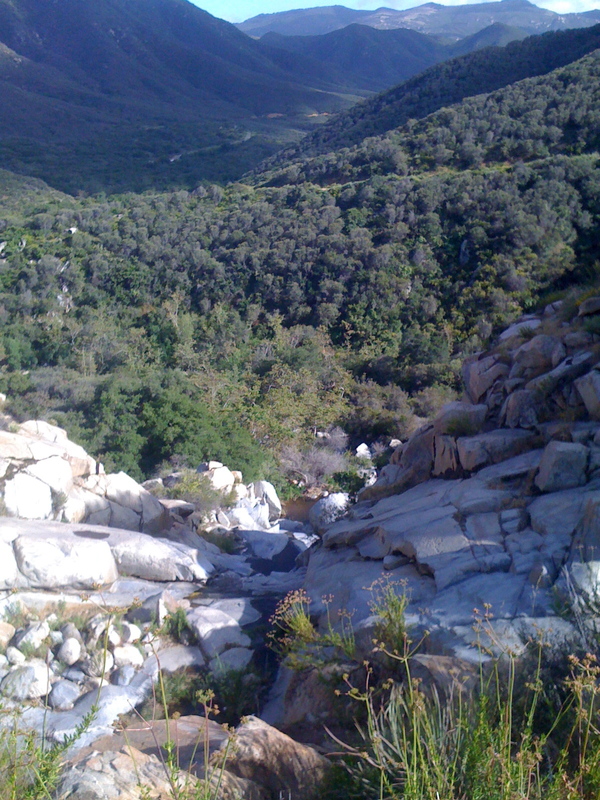 Catch and Release: what might it look like for you to live from your wild heart? 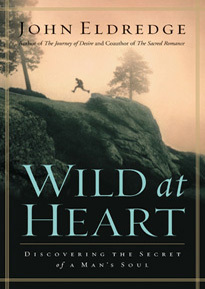 I decided to re-read “Wild At Heart” by John Eldredge in recent days and once again am captured by the imagery of man’s design. John speaks of “the recovery & release of your heart, your passions, your true nature, which you have been given by God“. That resonates deep within me to my core. It is my core Creator calling me out from within my design. Does it resonate with you? When I think about how God created man from far within the untamed part of His Creation, I see myself in that untamed part. Are you home or are you entangled by the corporate life that battles for control of all that is not your created being. God created us in spirit to long for danger and wildness. As I read I couldn’t help but contemplate on John’s questions, “Where do you most come alive?” For me it is in God’s Creation. I can not stand working in an office and I’m a pastor. 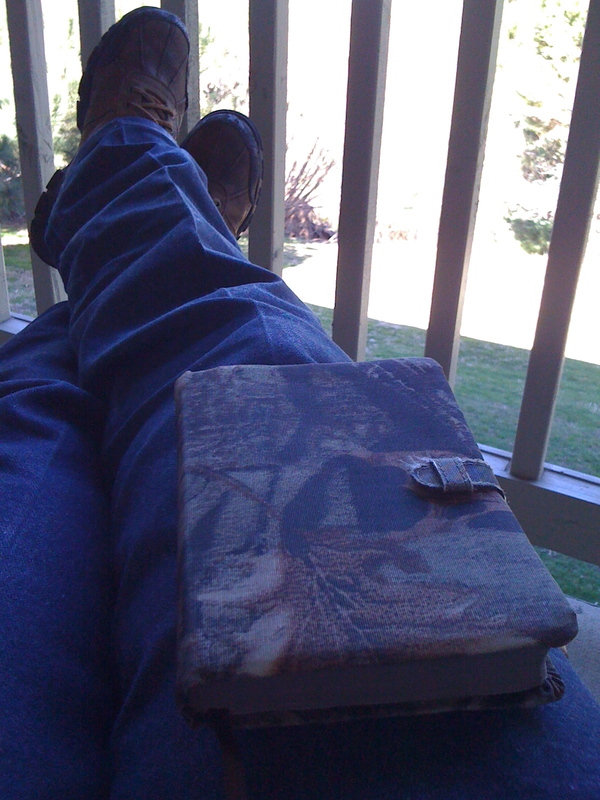 In fact, I am sitting outside as I write this posting. There are a few characters in the Bible who also find God in His Creation and it is from that place that they truly hear God’s voice. Let me encourage you to do a word search on the Men of Scripture and where they encountered God. Moses heard God in the desert of Sinai, Jacob wrestler with God in Mesopotamia, Elijah went into the wild to recover his strength as did John the Baptist and Jesus himself who were led by the Spirit into the wilderness; as well as, Jesus in the Garden to be with God before He was crucified. I submit to you… you were created by God to live a vibrant soul life, one filled with adventure and wildness. How would you describe your daily topography, does it mirror the topo lines of your inner heart beat? How much room for your masculine soul – for adventure and battle and beauty – is there in your typical work week?